Private jets are experiencing a resurgence in popularity. Three-hour check-in times, security issues and a desire to use available time more effectively is causing a closer look at alternatives. Private jets are becoming a business necessity and a relaxing way to go on holiday. Arranging a private jet flight is very simple. Choose your charter provider, contact them and provide basic information – date of journey, preferred time, number of passengers, preferred departure airport and destination, pay and receive details of the flight. Flights can even be arranged at an hour’s notice. “We find planes situated near your base. We present you with a choice, you choose and we then process that flight, organise the crew, aircraft, permissions to fly, travel from point A to B, catering, and arrange customs clearance. You scan in your passport and we have it pre-checked. Customs will indicate if there is any problem. We give you the crew names, aircraft number, collect you from the private lounge or arrange for you to drive straight to the aircraft. We undertake all the pre-flight clearance, so you can take off immediately,” explains Gabriella. Privacy is another reason for using charter aircraft, making it very popular with high profile clients. There is no need to go through large airports, running the risk of being approached for autographs. Clients can opt for a private lounge or even drive straight to the aircraft. Apart from the crew, the only passengers on board the aircraft will be those invited by the client – a factor which also provides added security. The cost of chartering a private plane depends entirely on your destination, the facilities you want and the type of plane involved. There are four main categories of plane available: very light jet (four seaters) light jets, medium sized jets and large jets. A weekend trip to Nice from London using SkyTime Jets starts at £2,000 per person based on four people sharing. During the ski season, based on four passengers travelling from London to Meribel or Courcheval via Chambery Airport, Smart Aviation quotes Euro 2,470 per person return. Typical planes used for charter travel include the Citation Mustang, Gulfstream G200 and Learjet 75. Facilities depend on the type of plane, with larger ones providing a luggage hold and inflight services. For ultimate luxury especially for long haul flights Crystal AirCruises have launched a brand new private jet – Crystal Skye – which is the world’s largest and most spacious privately owned jet perfect for large VIP groups. This is a customized Boeing 777 with seats that convert to 180-degree lie flat beds. They offer high staffing levels, a private social area with standup bar and lounge seating, Michelin-inspired cuisine and fine wines, plus state of the art, on demand entertainment programming. A flight from London to New York costs around £310,000 which, for a maximum group of 80, works out at about £3,900 per head. There are alternatives to private jet chartering, of course if you have the wherewithal. You can buy your own jet for your own use. 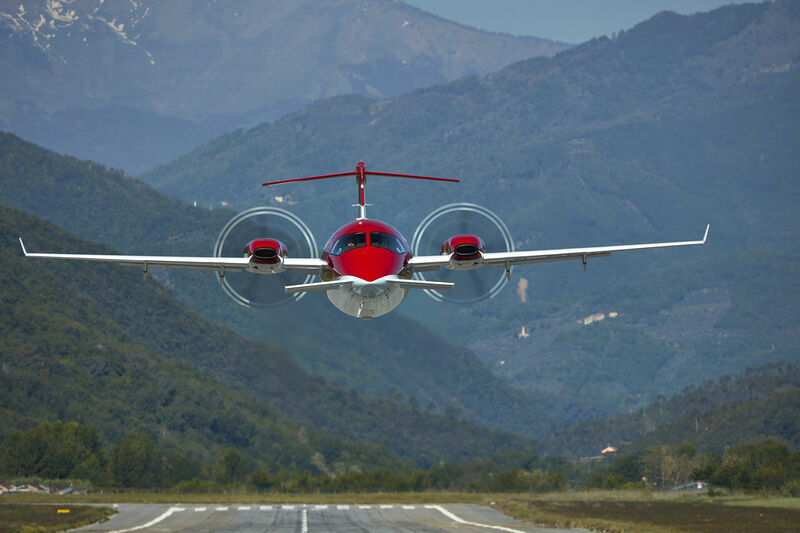 Priced at $7.4m according to ConnectJet, the Piaggo Avanti EVO is the world’s fastest turboprop and has low operating costs, plus considerable eco appeal. Shared ownership distributing the cost among several people, giving access to a set number of flying hours every year, is a popular option, similar to a timeshare. Costs vary according to the number of people involved. It is possible to lease a private jet for a specific period. Short-term leases range from three months to three years, while long-term leases are from four years upwards. At the end of the lease, the jet can be purchased or returned to the title owner. Lease agreements generally involve no additional costs for maintenance, upkeep, operating expenses and insurance. If you’re interested in chartering a private jet, then you might want to consider Stratajet. This is a real-time online booking service which links thousands of potential jet charters worldwide, including ‘empty leg’ planes. These are flights that are scheduled to fly without passengers, back to their home base or to their next destination. The Strata website incorporates an innovative ‘empty leg’ solution by diverting aircraft to your destination while en route to their original final destination. A plane may have flown from London to Madrid, but gains an additional charter by flying to collect passengers from Ibiza before returning to London. This maximizes efficiency and allows private jet passengers to charter flights at a reduced price. And there’s even a subscription model now on offer in America – a kind of hybrid between charter and commercial. Surf Air is the first of its kind flying between various destinations on the West Coast of America. It has now launched a European operation. Members pay a monthly subscription rate, which allows access to as many flights on the available fleet of jets as they wish. This is not a private jet charter in the conventional format, as the planes fly to a set timetable. “Once a client has used charter aviation, it is hard to go back to commercial flights. They like the flexibility and versatility charter flights offer,” comments Gabriella. It becomes a way of life. Next Post: Who Wants to be a Cryptomillionaire?